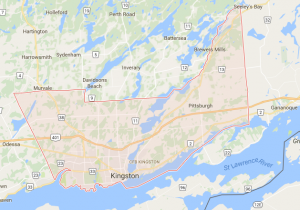 Located in eastern Ontario where Lake Ontario meets the St. Lawrence River, the City of Kingston isn’t a large centre. Its centuries-long history, including a period as the capital of the colony of Canada, gives it a downtown core steeped in heritage, and the challenge of reinventing itself as economies change over time. Currently, the economy is heavily based on the education and government sectors, including a military base and training centre (Royal Military College), a major university, and a large corrections centre. Kingston’s apartment market is large and well established. In recent years, however, this large market has seen a lot of interest. Vacancies dropped sharply from 3.2% in 2007 to 1.3% in 2008, giving it the lowest vacancy rate in Ontario at the time. One large apartment operator is building at a rapid pace, putting pressure on older properties, but vacancies keep heading downwards. With interest in the Kingston rental market so high, rents are rising in response. All of this activity has helped spur new construction. While too far from Toronto or Ottawa to ever be seen as a bedroom community, Kingston’s transportation connections offer a bright future. Its proximity to Highway 401 and Highway 416 and the St. Lawrence River give it easy access to Toronto, Ottawa, Montreal and the U.S. market. Kingston’s potential as a gateway can not be overlooked. With its large market already heated, the centre is a good place to consider for future investment. Kingston will remain, for its size, one of the most stable rental markets in the province. On a risk-rated basis, Kingston is and will remain a good buy. Opportunities for student housing, either new construction or repurposing.